I have an attached MIL apartment for rent. 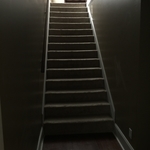 Location is Richmond Hill in a very nice and quiet neighborhood on deep water. Community dock is walking distance from house. 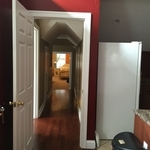 It is large and has two bedrooms + nursery size off master. Full kitchen and bathroom. separate entrance through garage. All utilities are included. Option of partially furnished or not. Washer/dryer hook ups in garage available for renter only. Pets on approval. Asking $1000/mo (based on small size fam since utilities are included) or willing to rent out the two rooms separately with shared bathroom and kitchen for $500/each. Available for move in on 3/1. Asking for 1st and last months rent and $800 deposit.